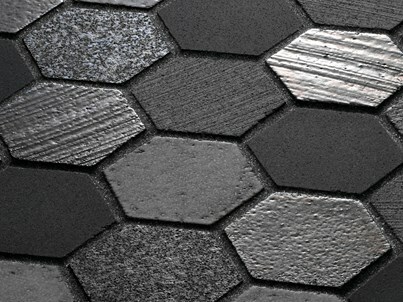 PREMIUM TILE, MEET PREMIUM GROUT. ANN SACKS is particular about tile -- from start to finish. Naturally, this makes us slightly fanatic about how our tile is installed. While it's easy to overlook the importance of grout, we see it as vital. Great grout should enhance the setting of your tile without calling attention to itself. Grout should complement the tile's color and finish seamlessly. 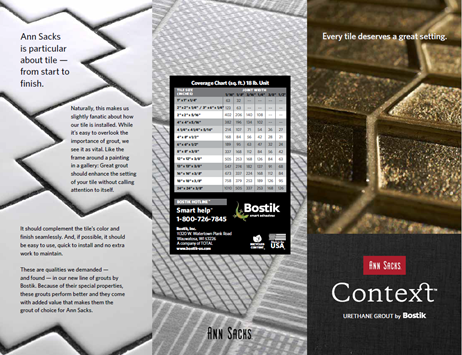 We've found, in our new line of grouts by Bostik, that these grouts perform better and they come with added value that makes them the grout of choice for Ann Sacks. The right context for Glass. 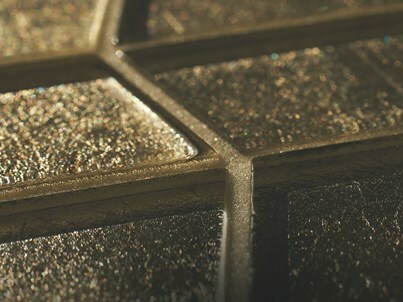 Our Glass-Filled grout has micro glass beads in a translucent base for a unique reflective appearance in tile, stone, and glass tile installations. Contact your nearest showroom to schedule a demo.